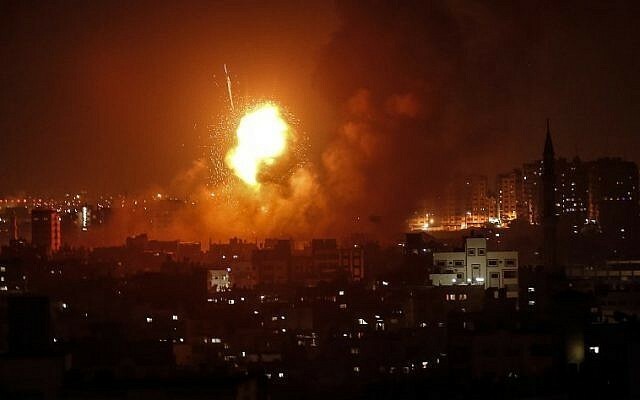 Israel carried out a major wave of strikes across the Gaza Strip overnight in response to some 150 rockets fired at its territory, leaving three Palestinians including a toddler dead in another severe flare-up of violence, officials said on Thursday. Most of the rockets fired by Palestinian militants landed in open areas, but at least two hit the Israeli town of Sderot near the Gaza Strip and sirens sounded throughout the night, sending residents to bomb shelters. Medics reported at least four wounded taken to Israeli hospitals, including a 30-year-old Thai woman in moderate to severe condition. Those killed in the Gaza Strip included Enas Khammash, 23, and her 18-month-old daughter Bayan, according to the health ministry in the Hamas-controlled enclave. They were killed in an airstrike in Jafarawi in central Gaza, the ministry said, while her husband was injured. The ministry said Khammash was also pregnant. A Hamas militant was also killed in the strikes and at least 12 others injured, the health ministry said. 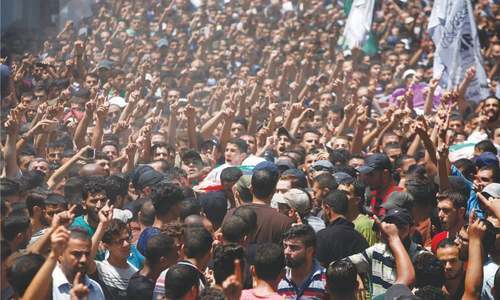 It was the third severe flare-up of violence since July and came despite attempts by UN officials and Egypt to secure a long-term truce between Israel and Hamas. The three flare-ups, which follow months of tensions due to protests and clashes along the Gaza border, have raised fears of a fourth war between the two sides since 2008. Israel's military said it targeted more than 140 Hamas "military sites", including military compounds and weapons manufacturing sites for the Islamist movement. 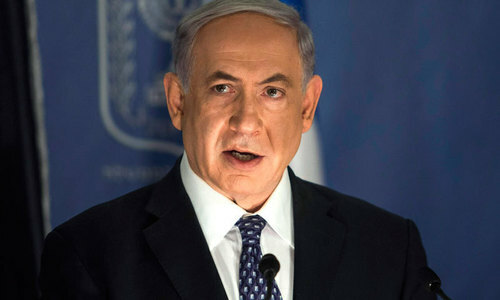 It said Israel was targeted with around 150 rockets from late Wednesday into Thursday. Twenty-five of them were intercepted by air defence systems, according to the army. Smoke plumes and fireballs could be seen over the Gaza Strip as the strikes were being carried out. The military said it was "determined to secure the safety of the citizens of Israel and is on high alert and prepared for a wide variety of scenarios". A statement from the military wing of Hamas claimed responsibility for the rockets. It said the Palestinian "resistance" had fired a large number of rockets at "enemy positions in the Gaza envelope". Israeli television broadcast images of a house and cars damaged by the rockets in Sderot. Nickolay Mladenov, the UN envoy for the Middle East conflict who has been seeking to negotiate a long-term truce between Israel and Hamas, said he was "deeply alarmed" and called on all sides to "step back from the brink". 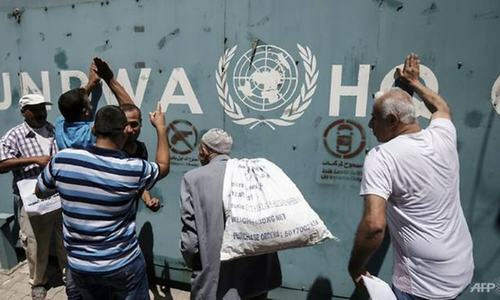 "For months I have been warning that the humanitarian, security and political crisis in Gaza risks a devastating conflict that nobody wants," he said in a statement. "Our collective efforts have prevented the situation from exploding until now. If the current escalation however is not contained immediately, the situation can rapidly deteriorate with devastating consequences for all people." The flare-up that began Wednesday night followed an incident the previous day. In that incident, two fighters from the military wing of Hamas were killed by Israeli fire along the border. Israel initially said the two fighters were shooting at Israeli soldiers, but Hamas said they were involved in a training exercise that senior officials were attending. Israeli media reported that army officials had later acknowledged a mistake had been made and the militants had not been firing at soldiers, though the military would not confirm that information to AFP. Hamas warned Israel it would pay for the attack, and on Wednesday the army said shots had been fired at civilian engineers working on an underground barrier along the border, prompting the military to respond with tank fire at a Hamas post. That was followed by the rocket fire and then the Israeli strikes. Protests and clashes along the Gaza border since the end of March have seen at least 165 Palestinians killed by Israeli fire. The majority were killed during protests and clashes, but others have died in airstrikes or tank fire. One Israeli soldier has been shot dead by a Palestinian sniper. Israel has the right to self-defence. Hamas has destroyed its own people. They want to keep the conflict on going so that they remain in power. Toddler dead is sad news but every country has a right to strike back if provoked! These useless rockets fire by whoever seems to extend an invitation to the Zionist state to freely bombard Ghaza . Really wonder if these useless rockets are fired by Zionist state proxies??? Hamas are cowards.. they launch rockets from domestic residents area.. Israelis ars just retaliating! @Amit - "Toddler dead is sad news but every country has a right to strike back if provoked!" From fighter jets flying thousands of feet above the ground, it is impossible to spot a toddler. Those people were unlucky to be present at wrong place and wrong time. Palestine needs to get Nuclear weapons this way no war will ever take place in Gaza again where thousands get killed by disproportionate force and things will get balanced then.